Have you ever wondered if snapping your knuckles really causes arthritis? Or if Ligers really exist? If eating cheese before bed really does give you nightmares? Or if Scorpions are really deadly to humans? 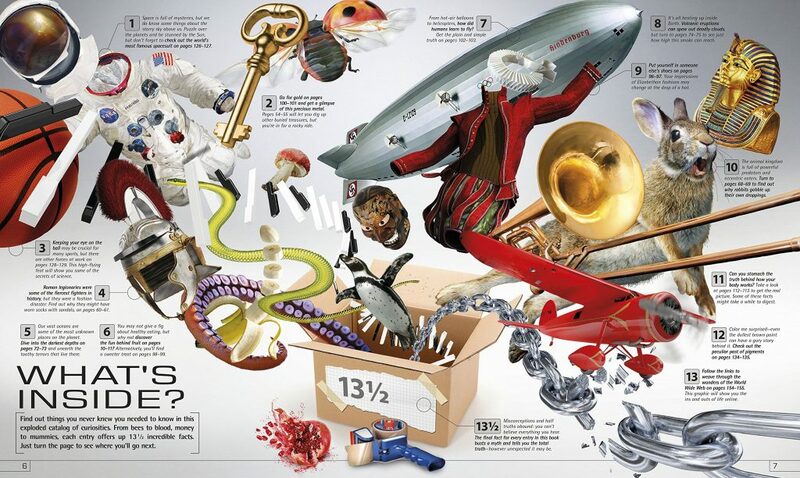 Find out in 13 1/2 Incredible Things You Need to Know About Everything. Children (and adults) can be curious about the world around them. I know my son Drew is always asking me for more information and details about everything and this is why I selected 13 1/2 Things You Need to Know About Everything to review from DK Canada. With more than 1,000 amazing facts and myth busting truths even adults may find unexpected, be prepared to be intrigued from the moment you open the front cover. 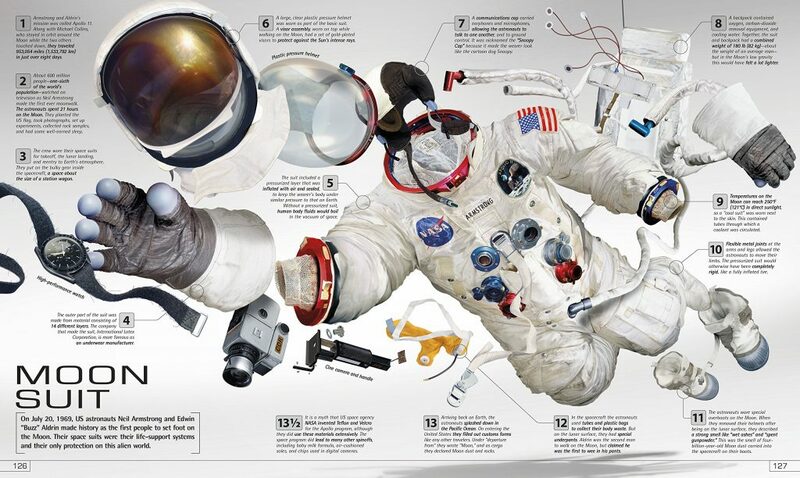 Each full-color page is packed with factual information, stunning photographs and diagrams exploring a specific item. You receive 13 facts and one half fact which dispels a popular myth about the topic. This book measures 250.825 x 301.625 mm and is recommended for readers from 8 to 12 years. Andrew is 6 and so interested in this book he has been trying to read it on his own. He has been reading through each fact (and spelling words out loud he doesn’t know yet so I can tell him what they are) and then asking me “Mommy did you know that?” Often times I did not know the information he is sharing with me. There are also other topics explored including Fabulous Fruit, Cool Cars, Fantastic Fungi, Steam Power, Eye Opener, Famous Pharaoh, Get The Message and Super Seeds to name just a few more! I’ve got a few on my list to go and read including Eye Opener, Super Seeds, Food Processor and Brain Box. I really like the myth-busting fact included with each topic. These will work great as conversation starters with my friends and family. 13 1/2 Things You Need to Know About Everything is the perfect coffee table book with pages and topics to engage people of all ages. With 176 pages and a wide-range of topics including animals, food, electronics, human anatomy, science, history and hobbies you have more than 1000 facts to explore. 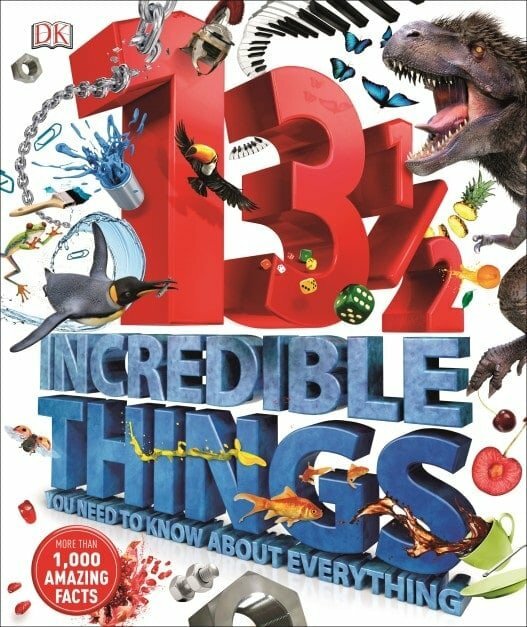 If you or someone you know loves to learn about the world around them, they will not be disappointed with 13 1/2 Things You Need to Know About Everything. Hard to decide …if I get this one, would I have to give it up one day since it is so awesome not to share..lol. Review makes me want to have one for myself. Great book, thanks for the review! Another book for my Granddaughter, thanks for the Review! This looks like a great book to enjoy with my grad daughter. She is like the commercial “enquiring minds want to know”. Wow, thanks for the review! My daughters would get a kick out of reading this with me & looking at the colourful pictures! Things that make you go hmmmm. Lots of interesting tidbits to know. Thanks for this review. My son will love this book, I will have to look for it.